This delicious bowl is packed with so many health benefits and yet it tastes like creamy ice cream. It almost seems wrong to eat it for breakfast, or my favorite, a post workout meal when I am too tired to cook. Acai berry is know as a superfood, which means each little berry packs a punch of nutrients and has a ton of health benefits. Pronounced (ah-sah-EE) this fruit is rich in antioxidants, protein, amino acids, omega 3, 6 and 9 fatty acids which boosts your immune system, metabolism and energy level, removes free radicals, slows the aging process, and improves the look and feel of your hair, skin and nails. Tell me that last part and you had me at hello. If you haven’t made one of these yet, I definitely recommend doing so. Although these berries come from the Amazon, you can find frozen Acai packets at most food or health stores which are perfect for blending into a smoothie or one of these bowls. It also comes in juice form incase you don’t have access to a blender. Be sure to by pure Acai rather than ones that have added sugars. In a blender or smoothie maker combine the Acai, frozen banana, and almond milk. You can always add more almond milk if needed, but it is best to start slow so the mixture doesn’t get too thin. You want it to look thick and creamy. 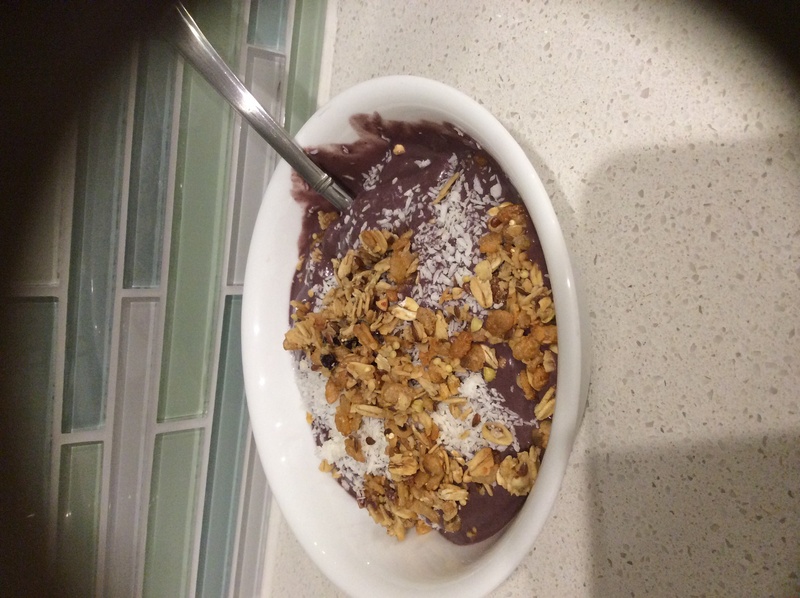 Once blended, in a separate bowl layer your frozen blueberries on the bottom (I like to do this because it keeps the Acai from melting to quickly when you eat it). 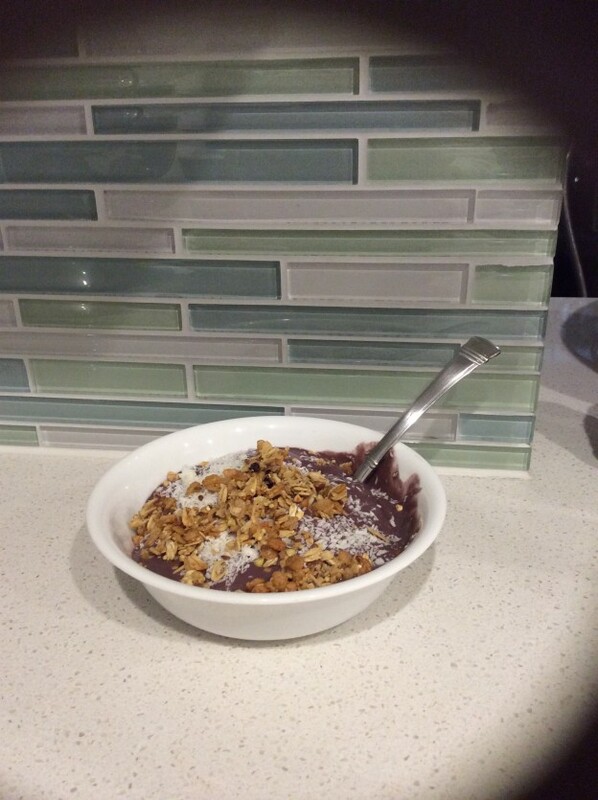 Scoop the Acai mixture on top. 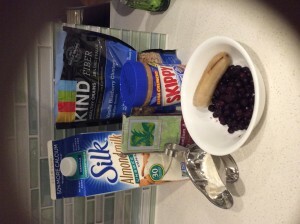 Add your granola, coconut flakes and add a scoop of peanut butter if you would like more protein. If you don’t have all of the above you can always change it up and make it to your liking. Enjoy! This entry was posted in Breakfast & Brunch, Recipes Main and tagged acai, smoothie on February 18, 2015 by ellekinney.